I received a package from New York. 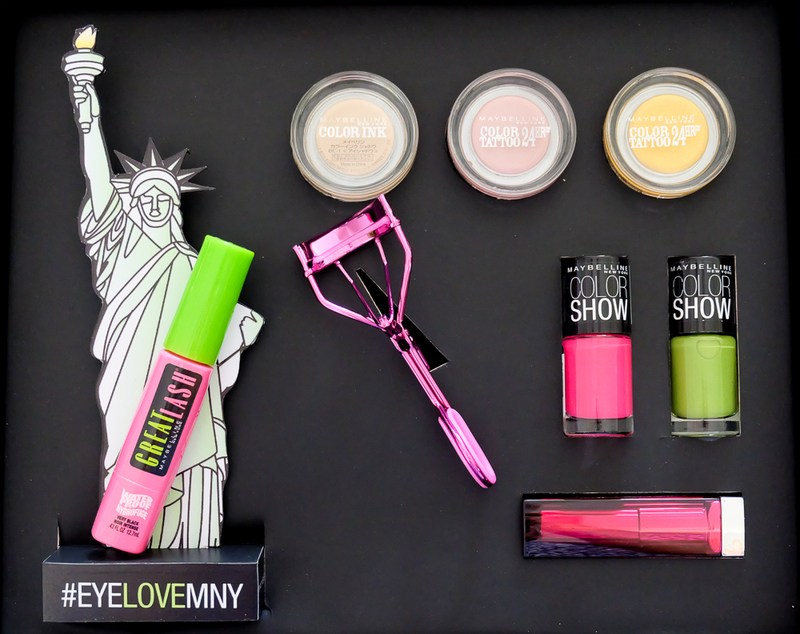 It’s pink & green and it’s from Maybelline! I grew up with Maybelline and I remember, it was one of the few make up brands that I owned. So receiving this package brought back so many memories especially the time when I was starting as a TV commercial model. 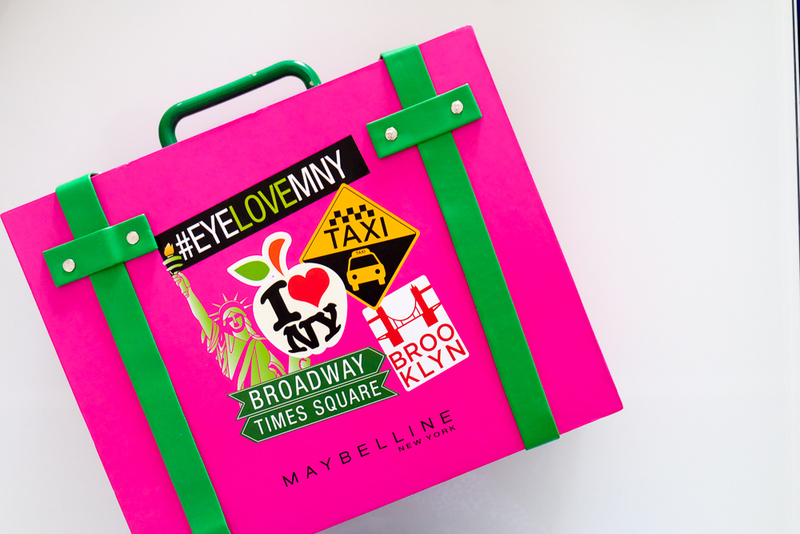 This #EyeLoveMNY luggage is one of the cutest packages I’ve ever received. Immediately, even before knowing what’s the content, I was reminded of one of Maybelline’s iconic products, the Maybelline Great Lash Mascara. For some time it wasn’t available here locally & if I recall correctly, make up artists and make up junkies used to buy it abroad. Now that it’s back, I’m excited to use it again. Eye shadow, lip stick, nail polish, curler and the famous Great Lash Mascara! 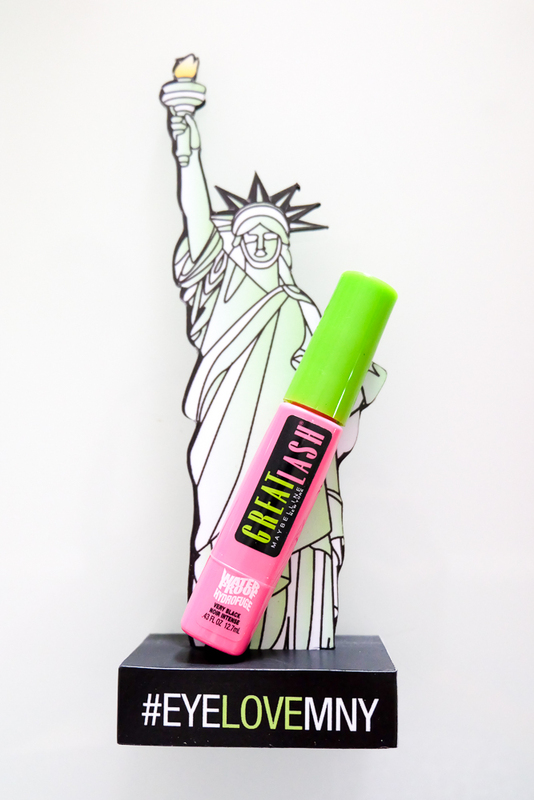 Lady Liberty loves Great Lash. A quick demon on how Maybelline Great Lash Mascara works. On most days, I just curl my lashes because I already have a semi-permanent eyeliner, I feel like I don’t need to put mascara on. But I notice my lashes tend to go in different directions when I curl them hastily. Here’s my lashes with Maybelline Great Lash Mascara. 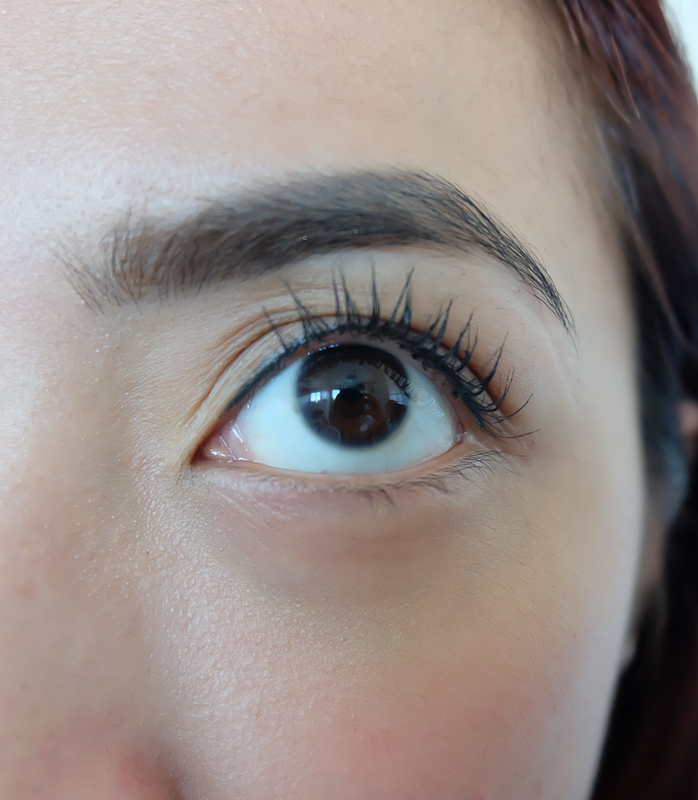 Look at how it instantly defined my lashes- making it thicker, longer and fuller. I’ve been complimented with my lashes more than a few times because people always thought I was wearing false eye lashes. 1. It’s cheap and effective. 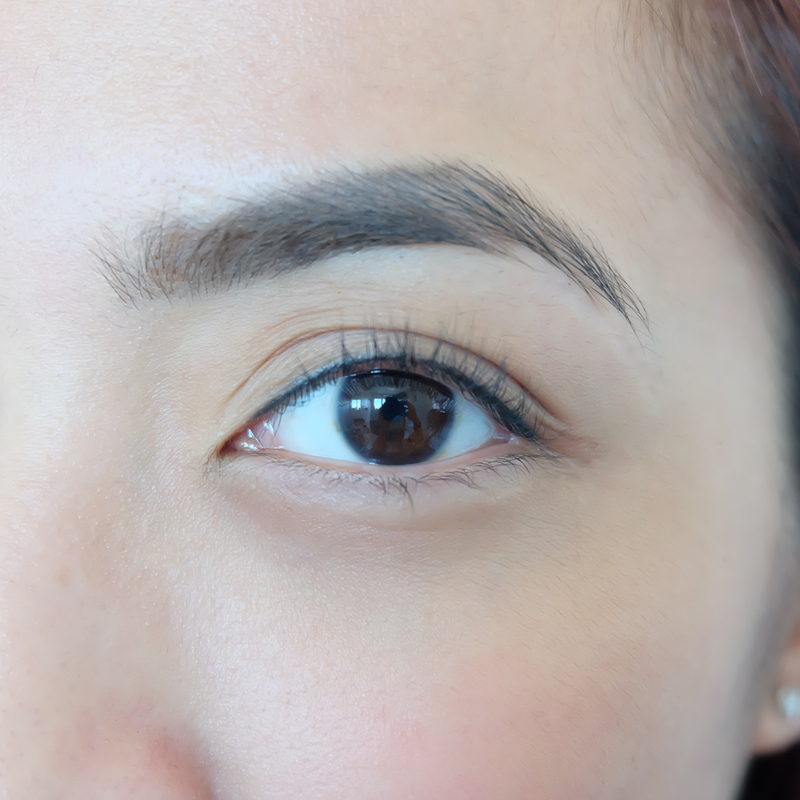 Great lashes for only P350, who wouldn’t like it? 2. It’s easy to apply. One coat is all you need to enhance your lashes. It doesn’t clump and it keeps the lashes curled- it doesn’t straighten my lashes out. 3. It’s stays there. It doesn’t run even after a hectic day. I don’t need to check on my face often to see if I’ve developed panda eyes. 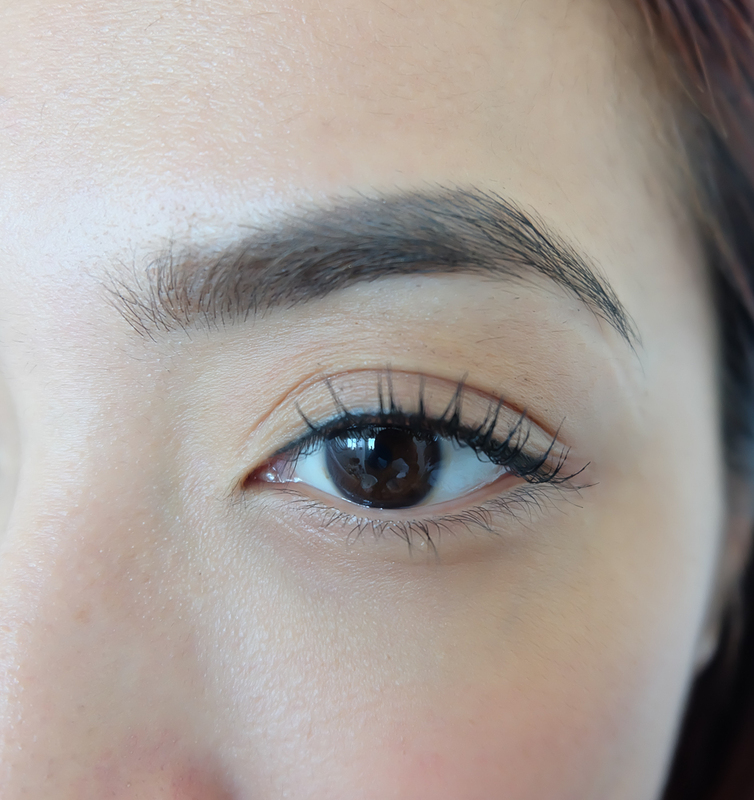 The only setback about Maybelline Great Lash is that it’s a bit challenging to remove. Since it’s waterproof, removing it would mean using a good make up remover. Although I really don’t mind this part, I just wish it was easier to remove. I guess I have to use a more efficient make up remover. On the left, I have bare lashes while on the right, my lashes with Maybelline Great Lash Mascara. I highly recommend this mascara to women who want to have great lashes without having to shell out much on mascara. It’s also the perfect mascara for women who are just starting to build their make up arsenal and are first time mascara users. Let me know what do you think about Maybelline Great Lash and how do you find it. Maybelline Great Lash Mascara is at P350 and is available at all leading department stores, drug stores nationwide You can also get it at www.sampleroom.ph.